Figure skating continued to be a sport that “skates on thin ice” with audiences Saturday night. 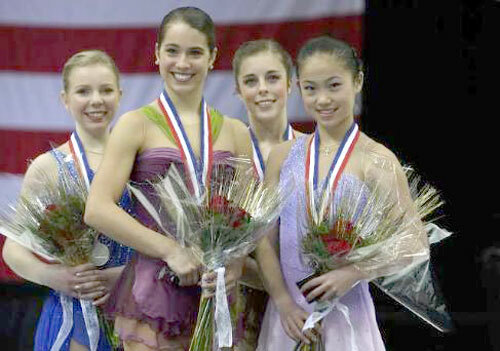 The skater who won, Alissa Cziny, fell during her freestyle program. This was not a favorable outcome to many who were watching, but what people continue to forget is that the short program and the freestyle program scores are combined for a total score. So, really, it is entirely possible to have a bad skate and win the entire competition if at least one of your programs is flawless. The judges could have given Cziny a lower score based on her freestyle performance, making her second or third even with the combined score, however, and this is why the sport might be losing popularity. The judges seemed to act on the knowledge that Cziny is a better skater in most instances and will be the best representative of the United States at Worlds. She may be closest to that complete package that Michelle Kwan had. While artistry is just as important as the technical part of a program, at Worlds, it may come down to the jumps and if Cziny can’t be clean, there will be no saving her by the judges. Rachel Flatt who placed second also will be going to Worlds. Previous Post Salute to the weekend!